Tissue engineering is a scientific field that refers to the practice of combining scaffolds, cells and biologically active molecules to form functional tissues.� The knowledge from this area can be used to facilitate clinical procedures involving repair of damaged tissues and organs. In addition to natural biomaterials, which include collagen, gelatin, silk protein-based biomaterials or cellulose-, glucose-, chitosan polysaccharide-based biomaterials, synthetic materials like bio-textiles have attracted great attention as potential fabrication methods for engineered tissue constructs. Some examples of the commercial bio-textiles in market include Tigr Matrix, Ultrapro and Intergard, which are used to treat pelvic organ prolapse, hernia and vascular diseases. 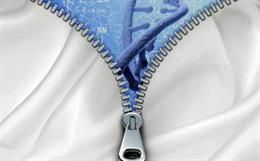 Generally, bio-textiles can be divided into four categories: synthetic, hydrogel-based, natural, and composite fibres. 1. Synthetic fibres are used in vascular prosthesis, cartilage scaffolds, and tissue-engineered bladder due to their high mechanical strength and controllable surface morphology, which can help in better interaction of the material with the host tissue. Micro and nano synthetic fabricated fibres have the ability to mimic the intricate fibrillar microstructure of the natural extracellular matrix (ECM). The fibrous synthetic fibres can be fabricated through electrospinning or blow spinning. These methods are advantageous for fabricating cardiovascular or skin scaffolds where mechanical strength is required. However, synthetic fibres lack the ability to encapsulate cells. 2. Hydrogel based fibres find their application in soft tissue engineering, drug delivery and implantable sensors. Hydrogels are 3D polymeric structures capable of collapsing and re-swelling in response to different environmental stimuli in vivo, such as pH, temperature, electric fields and enzyme substrates. These materials provide a viable and nurturing environment for the cells to grow and proliferate. Wetspinning and microfluidic spinning are two approaches through which hydrogel-based fibres can be fabricated. Microfluidic spinning generally offers better control over fibre shape and size compared to wetspinning. 3. Natural fibres like protein or polysaccharide-based fibres are highly biocompatible and degrade into harmless products inside the body. Collagen threads used for degradable sutures can be manufactured by wetspinning or meltspinning methods. Chitosan with anti-bacterial properties is used in drug delivery and wound healing applications. These fibres are usually fabricated using wetspinning or electrospinning methods. Another example is the use of silk fibroin (SF) yarns processed into weft-knitted fabrics spaced by a monofilament of polyethylene terephthalate (PET) to treat bone loss in the craniofacial complex. 4. Composite fibres are a combination of two or more constituent materials. Each constituent part of the composite material remains distinct and serves a specific function. In hybrid systems, on the other hand, the constituents can be mixed throughout the construct. The combination typically results in improved strength, toughness and stiffness of the biomaterial. For the above four subcategories of bio-textiles, microstructure, mechanical properties and the cellular distribution of the tissue construct can be controlled through knitting, weaving or braiding textile method. These are shown below in figure 1. The knitted structure is highly flexible and can be constructed into a 3D complex structure, however it becomes difficult to adjust properties in different directions. As an example, knitted structures like the knitted silk collagen sponge scaffolds have been used in tendon and ligament regeneration.� Weaving method offers the ability to create structures with anisotropic properties. However, it is less flexible compared to the knitted structure. Woven structures mimic the properties of cardiac tissues and the cartilage. Lastly, braided structures possess excellent flexibility and are good for load bearing tissues. Hence, braided structures can be used for load bearing fixations and wound closure applications. About the author: Simran Dayal is a final year undergraduate student of biomedical engineering at the University of Tennessee, Knoxville, USA. Her areas of interest include tissue engineering, regenerative medicine, biomaterials and gene therapy & drug delivery systems.